Camp for €18,- a night at Campsite Schüttehof in low season with CampingCard ACSI. Campsite Schüttehof, located in Horb am Neckar (Baden-Württemberg), is a campsite with 64 touring pitches and 250 year round pitches. With your CampingCard ACSI you can camp on one of the pitches during the following periods: 01-03-2019 - 30-06-2019 and 01-09-2019 - 30-10-2019. At this campsite you can not only use your CampingCard ACSI for inexpensive camping, you can also use your ACSI Club ID (as an alternative ID). 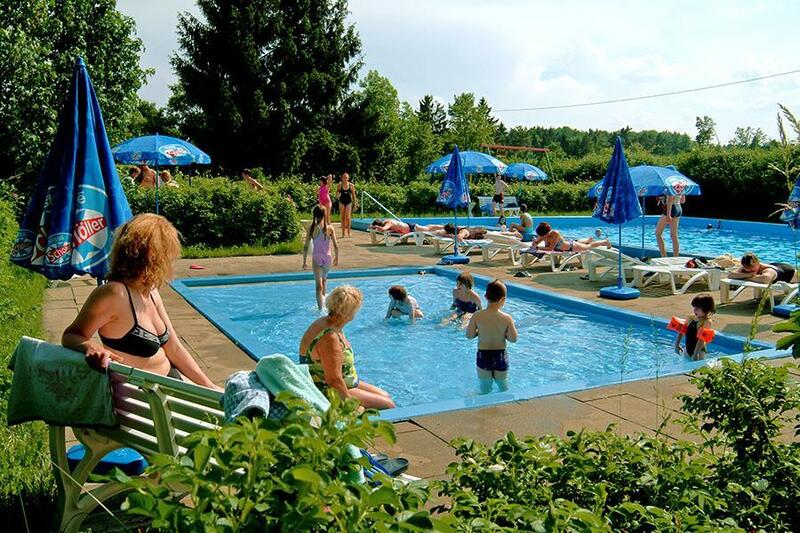 A campsite in a peaceful location overlooking the medieval town of Horb am Neckar, on the edge of the Black Forest, and with its own swimming pool. Restaurant with good traditional cooking at a reasonable price. We were allocated a "comfort pitch" for out motorhome. This meant water and waste on the pitch and free wifi, but also meant being parked very very close to five other vans. Not impressed by the pitch and the description of "overlooking Horb" was a bit of an exaggeration. It is indeed up on the hillside above Horb but there is no view whatsoever. The access road from Horb seems to have been closed and there is now a detour of about 5km to get to the site. The summer price seemed expensive for what it was. There were plenty of toilets though and they were very clean. Would you like to book Campsite Schüttehof or request more information? You can do both using the information below or by visiting the campsite's website. A81 Stuttgart-Singen. Exit 30 direction Horb. In Horb left towards B14. Left to Altheimerstraße. Campsite on the left. From Freudenstadt: B14, then turn right immediately. CampingCard ACSI will send your information request to "Campsite Schüttehof".